The Flathead County Republican Central Committee partnered with the Flathead Valley group Last Chance Patriots to host D’Souza for the Republican fundraising event. Tickets cost $100 a seat. "I agree with what he stands for, he's exposed the Democratic party," said Braxton Shewalter from Columbia Falls, who showed up with a pack of friends, all wearing red “Make America Great Again” hats. They got there early enough to be close to the front of the ticket line that stretched far down the block from the Bigfork Performing Arts Center. 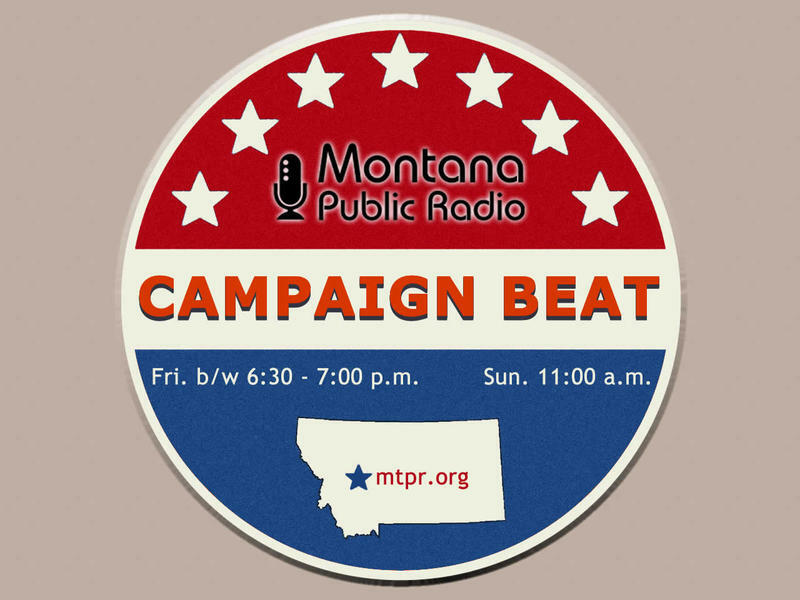 Shewalter calls himself a young Republican, but he says even politicians he wholeheartedly supports, like Congressman Greg Gianforte, aren’t doing what Montanans asked for. "I feel like they're just kind of there lurking around in the swamp as people would say, and I feel like they're not doing much legislatively," he said. Inside the theater lobby Congressman Greg Gianforte, along with Republican US Senate hopefuls Matt Rosendale, Troy Downing and Albert Olszewksi, shook hands with attendees. The leaders of Last Chance Patriots snapped selfies with D’Souza. I made it a few steps inside before Dee Kirk-Boon, who chairs the Flathead County Republican Central Committee, told me, "I'm sorry, no press inside," before escorting me out. "We made a deal with our committee, and we decided to allow one press person into the event." That one press person was a reporter from the Kalispell Daily Interlake. "And it's simple," Skees said, "because the press slants the news so bad to the left, that we're almost positive we wouldn't get a good story from the left. So why would we want to encourage that?" Skees added that as a private event, Flathead Republicans could choose who could buy a ticket. Troy Downing, who’s running for US Senate, came outside to chat with reporters. "Well I'm not a fan necessarily of keeping press out," Downing said, "but private events, obviously things can get crazy." Three reporters covered the event, and there were no protesters. Downing said he’s been told D’Souza is a conservative voice he should listen to, but declined to comment whether he agreed with any of D’Souza’s talking points, which include holding the cultural left responsible for the 9-11 attacks, arguing against affirmative action and, recently, mocking the victims of the school shooting in Parkland, Florida, over Twitter. D’Souza’s award-winning books and documentaries have been both lauded and panned by critics. Cherilyn Devries is an organizer with Love Lives Here, a local branch of the Montana Human Rights Network. Those groups call Last Chance Patriots the latest incarnation of the local chapter of ACT For America, which they say is an anti-Muslim hate group. "He’s trying to connect progressives and Nazis," Devries said. "In the Flathead Valley we've actually dealt with neo-Nazis, so this is frustrating and difficult to hear because it’s creating division." Last winter, a self-described neo-Nazi website said it was organizing an armed march on Whitefish over a disagreement between a local real estate agent and the mother of a semi-famous white supremacist. The march never happened, but several people and businesses in Whitefish were targeted with terror-inducing messages and phone calls. Devries says D’Souza has echoed white supremacist talking points in the past, like minimizing the impact of slavery on people of color and promoting anti-Muslim rhetoric. "So, when we see one political party invite a speaker, who’s repeating talking points from those groups, and then barring some of the press, it does raise some alarm," she said. I’ve covered events hosted by Last Chance Patriots, which was formerly the Flathead chapter the national group ACT For America, for years, and while they never let me record, I was usually invited to watch, take notes and interview attendees. That was not the case Saturday night. 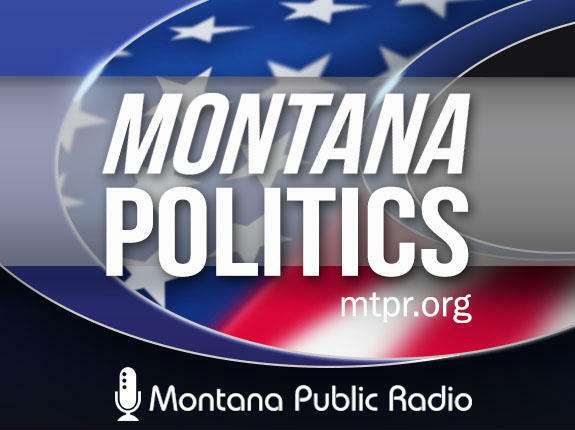 Reporters were not barred from a Yellowstone County Republican event Friday night, nor the Montana Democratic Party’s big annual fundraiser in Helena Saturday night. People in the room in Bigfork estimated more than 400 tickets sold.